Guest post 2018-02-13 Country, Destinations, Human Resources, Startups, Technologies. 2017 has been a tough year for the Internet of Things. Despite many positive forecasts, the market is rather going through a phase of early adolescence, as Matt Turck puts it. Many things don’t go as expected (which is illustrated by 1.6% decrease in investments into IoT compared with 2016, CB Insights reported), but at least foundational growth has been taking place. In 2018, we can hope for a bit brighter picture. Now, when the market is aware of security problems when quality finally becomes more important than speed of development, and when there are so many tools for IoT startups to take advantage of, the industry is expected evolve and advance faster. Yet when it comes to small companies and startups trying to build an IoT solution, one of the industry’s often overlooked aspects is software. CEOs often prefer to focus on its design, manufacturing, shipping, and marketing, leaving minimum attention to the quality of software supplementing the solution. Understanding this issue, many entrepreneurs decide to outsource software development instead of building an in-house team, and this is where Ukraine turns out to be one of the most appealing options. Here are three reasons for that, with each one also being the foundation for the next one. One of the most popular and effective specializations of Ukrainian education is engineering and information technologies. The legacy of the powerful mathematical apparatus of the Soviet Union has resulted in over 400 powerful universities and even more schools giving a fundamental understanding of hard sciences. As a result, over 15,000 IT specialists successfully graduate every year in Ukraine, making it the top country by the number of C++ and Unity3D developers, and the third country by the number of ASP.NET, Ruby, Python and Node.js coders. Also, to deepen engineer’s expertise in the Internet of Things, IoT-oriented hubs, schools, and labs are opened every month in the biggest Ukrainian cities. 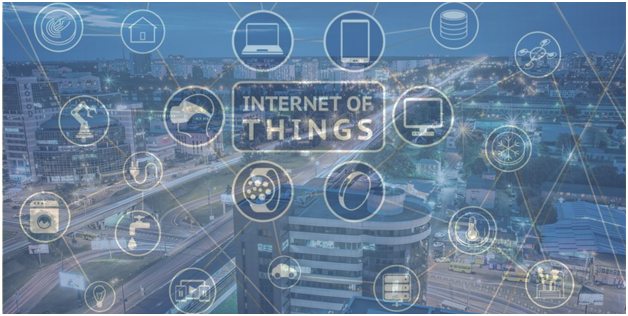 They help enthusiasts get used to the specifics of the industry and gain the experience necessary to start IoT-related careers. And the list keeps growing, with some of these companies having already raised a few rounds of investments and actively conquering the world market. Such local success stories attract young men to start the IoT career and motivate Ukrainian high-class software developers from other domains to get interested in the Internet of Things. For IoT startup owners, this is another confirmation that the Ukrainian market is more than just an opportunity to decrease costs with offshore developers. While some Ukrainian entrepreneurs come up with ideas for IoT solutions and gather developers to build it, others are interested in exploiting their expertise to export high-quality software development services abroad. The IT outsourcing industry in Ukraine is praised so often it makes no sense to reiterate this fact. Lower costs, easy communication (80% IT experts in Ukraine have a good command of English), certified developers, comfortable timezone — all constitute a convincing list of arguments to go for Ukraine. Some of these outsourcing companies got so successful they move to the US (like Stanfy), or work with tech giants like Cisco (SoftServe), or simply because they have laser-focused expertise no one else on the market possesses, like Brainbean Apps with their focus on the IoT solutions for consumer electronics and socialized services. The number of IoT startups outsourcing software developers keeps growing. If you consider outsourcing software development for your IoT solution, one of the countries to take into account is Ukraine. While other countries may seem to be more attractive in terms of their popularity or market dominance, Ukraine does its best to be the best bang for your buck by offering highest-quality development services for a middle-to-lower cost to conquer the industry. Max Sushchuk is a content strategist. In the 21st century, businesses communicate with their clients mostly via written content. So it gets extremely important to have a strategy for each and every piece of content a business wants to produce. And this is where Max excels most among others.